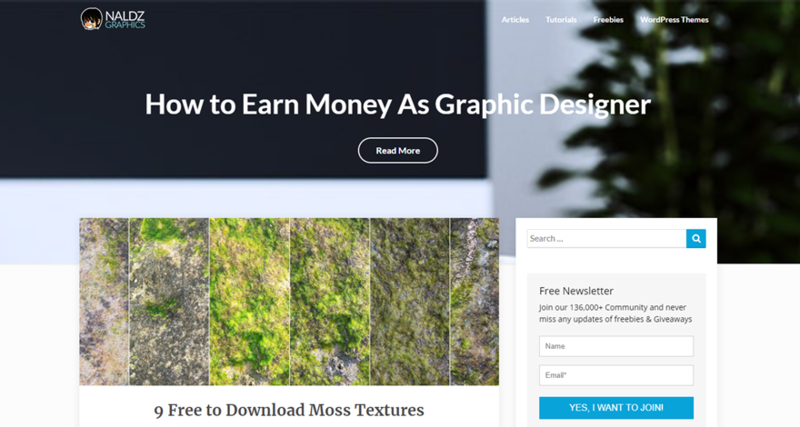 Designmodo is known for its outstanding freebies and awesome premium offerings. On top of those, the tutorials and resources make it a great place to stop if you need a quick refresher on a particular topic or a reference to show a client how your idea would work in practice (and the theory behind it). Covering UI and UX design (among tons of others), Line25 is sleek and elegant. They post regularly, so your feed won’t be neglected, and with a focus on WordPress, they should fit right into your daily routine. When a new article pops up, there’s an even higher chance it will be relevant to you than non-WP design blogs. Inspired Magazine should live up to its name for you. The content is spot-on, and the best articles come in their lifestyle and creativity categories. Sure, freelancing and web design are very technical, but there’s a very human side to it as well, and Inspired gets that. 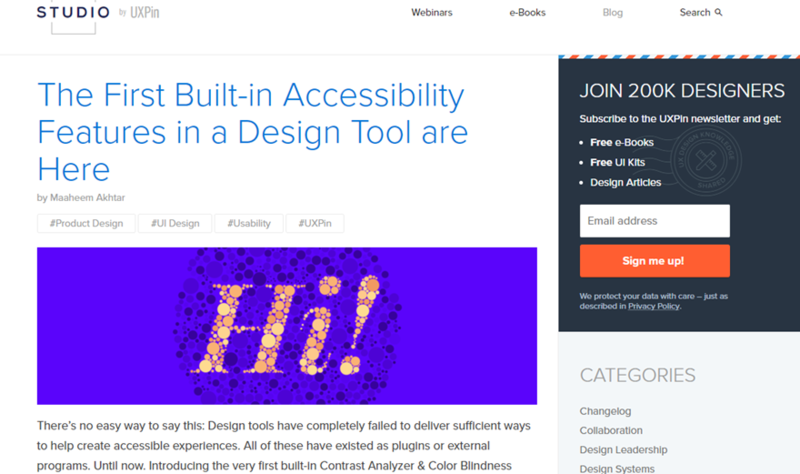 On top of being a great software product, UXPin publishes an equally great blog. With topics on UX (obviously) and UI design, adding this to your feed will increase productivity and maybe introduce you to some ideas you never would have seen before. To be a great designer, you have to be reflective. You need to be able to look at your work and find the good in it, but you also need to find the bad. 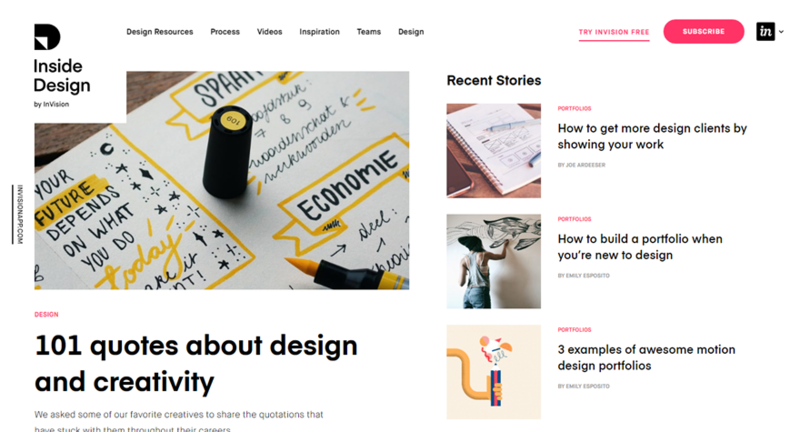 The Design Reviver is a blog where you can find inspiration not only in the typical showcase of other people’s ideas but in the meaningful understanding of how you fit into your career path. They publish reviews and offer up tools so that you can approach your work with the respect it deserves. With a CSS Reference search on their homepage, you know that Codrops is a website that puts helping you first. Their information is timely, and their demos have live sites and code for you to take and use. For a web design blog, that’s almost like the holy grail. 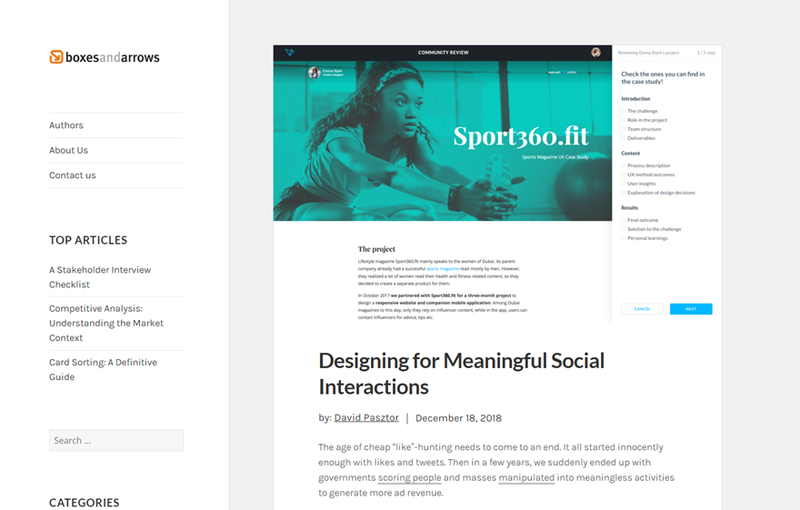 When a blog has philosophy directly beside content strategy on its homepage, you know that some good professional development can come from its feed. Covering topics from AI to specialized design and understanding UX analytics, UX Booth really steps up and puts out the content we need. 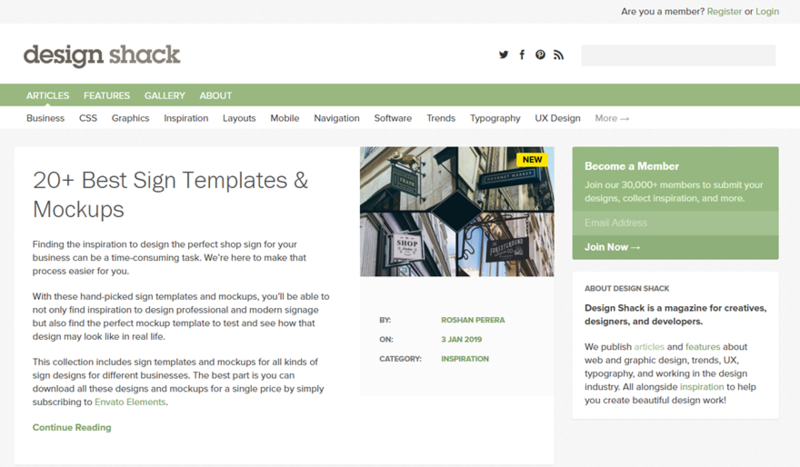 What’s better than a web design blog that collects resources for you? 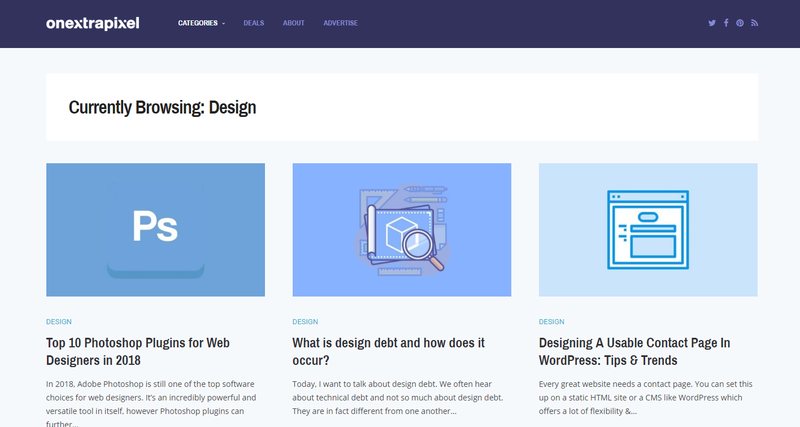 A web design blog that collects resources for you for WordPress. Staying up to date with both sides of your career at the same time is definitely a win. Freebies are often the web designer’s best friend. With Design Beep, you get vectors, wallpapers, backgrounds, textures, patterns, PSDs of everything that you could want. That’s on top of business-of-design articles, case studies, and social strategy. Add this one for sure. 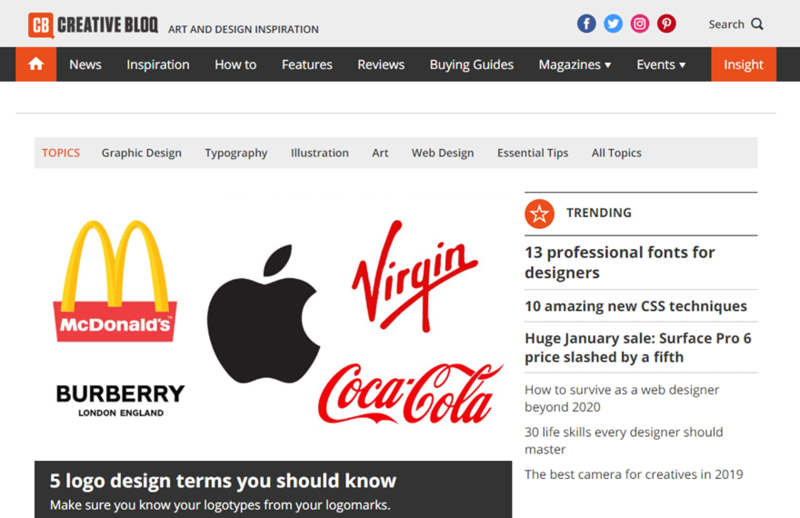 Another fun website title to say out loud, Abduzeedo might be the place to get design inspiration. It’s kind of a tossup for us between Awwwards and here. They tend to pride themselves on being able to provide the highest-quality content out there, and it shows. Their collection is image-heavy and word-spare. When you find a collection you like, you might even see the entire process of rendering it, including software screengrabs. It’s a beautiful place. 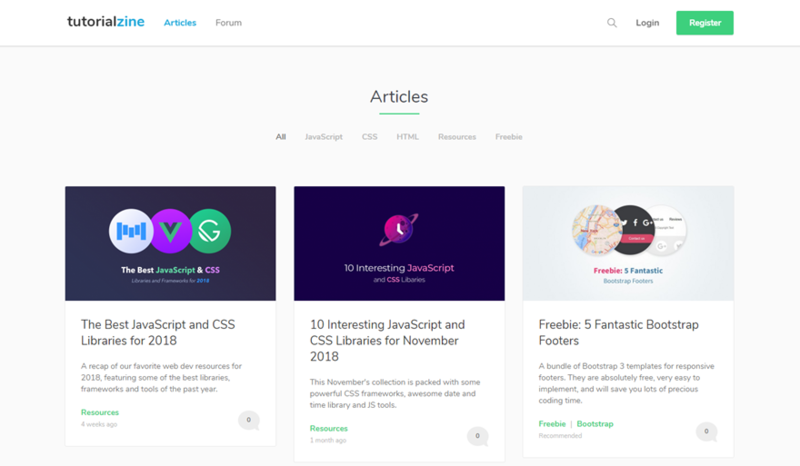 Envato is well-known in the WordPress world as a resource for plugins and themes, but did you know they also have a ton of free tutorial content out there under their Tuts+ brand? If not, you should definitely check it out because they are knocking it out of the park on a regular basis. You only have to look at their categories to see that Design Shack deserves its spot in your feed reader. Business, CSS, Mobile, Navigation, UX, Typography, and so much more are covered on a regular basis. You really can’t miss this one. Well, you can. But you shouldn’t. One of the best parts of InstantShift is the freebies page. We have mentioned those a lot from various places, but InstantShift’s stand out because they’re not all WordPress templates or samey PSDs. What InstantShift does is provide practical design freebies, like maybe a CV template or banners that look just a bit off-kilter that you won’t find anywhere else. Seinfeld fans owe it to themselves to check it out an artistic website named like one of their favorite pop culture references. Non-Seinfeld fans owe it to themselves to check out Vandelay Design because their work is amazing, and the content they put out is head-and-shoulders above most of the other websites out there. We hesitate to put 24 Ways on the list because they only update 24 times a year. In December. 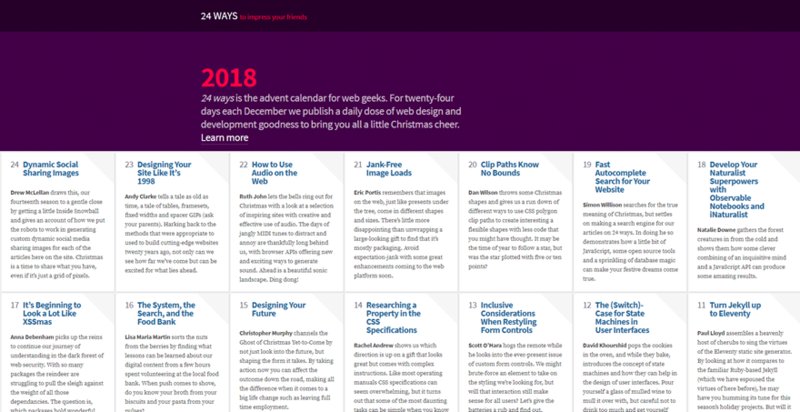 As an advent calendar for web design geeks. But the content they do put out is so good that we felt the inclusion was worthwhile. So throw them in your feed and get yourself a pleasant surprise when December of this year rolls around. What’s not monstrous at all is how MonsterPost puts together massive collections to inspire you on the regular. With lists that consistently reach 50+, adding them to your feed is a no-brainer. You get social ideas, templates, icons, fonts, and other resources that you’re going to fill up your hard drive with. Or maybe your Google Drive these days, right? Classy, modern, and insightful, when you visit David Airey’s blog, you can expect to be wowed. Not written like typical mass-market content, this blog feels thoughtful in a way that doesn’t really compare to any other web design blog out there. You won’t get any 1-minute reads here, but you will absolutely get something that lasts a lot longer than that. 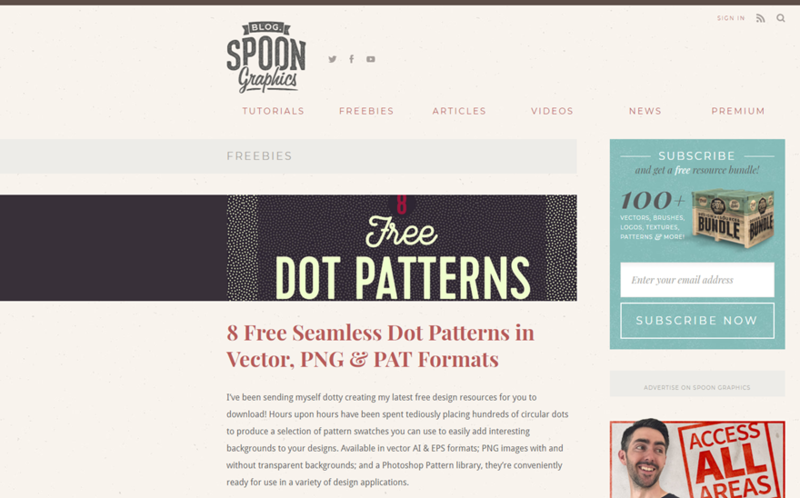 Fonts and freebies abound, Spoon Graphics is a web design blog that just feels right. Again, instead of providing the same-old resources that you can find anywhere, you can get Photoshop brushes, font collections, and things you will actually use. Medium has so much great curated content that it’s hard to find. That’s what we want to point you to the Design-UX section, and the tags for UX and Design are worth a look, too. Follow everything you can, and you will have a feed on Medium that is more enlightening than just poking around and falling in the click-hole. Everyone wanted to be a hacker at some point. And Hacking UI takes that and makes it their web design brand. With cool tips and tricks that let you navigate your field with ease, you will be clicking and clacking your way to better design in no time flat. They cover lifestyle and business topics as well, so even though they are focused on UI, they put a personal spin on it. 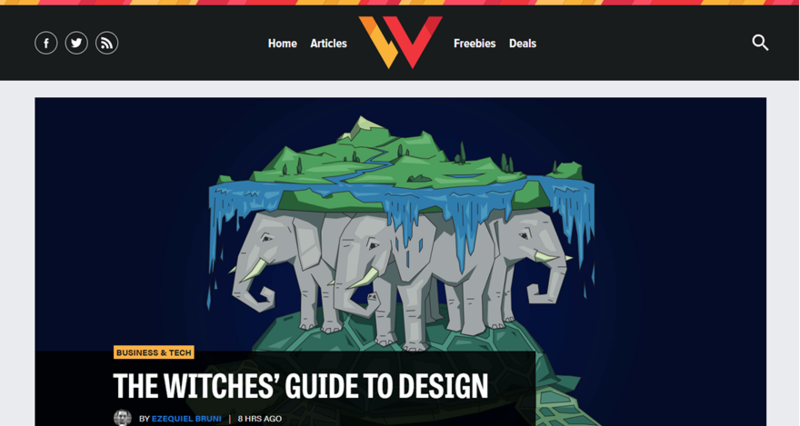 As a site, The Next Web isn’t all a web design blog. But their design blog is a great place to start if you’re not familiar with them (and honestly, even if you are, it’s worth checking out again). Editorial content is always engaging, and they stay true to their name in bringing trending topics to readers in a way that will get us to think instead of just move on with our days. More places should be putting out content like this, but since they aren’t, you should be reading TNW. It’s what every web designer wants: a good UI. And thanks to the aptly titled Good UI, you can get a few steps closer to that. With the tagline designing with data, this blog puts functionality and UX above bells and whistles. They focus on A/B testing and analytics. They even offer a BetterUI service where you can submit your UI to them for a fee and have a professional review run of it so that you can make informed choices. This is the web designer and front-end developer’s paradise. Tutorialzine is just a good resource for you to check. When one of their articles hits your feed, we think there’s a pretty good chance something in it will pertain to you. Whether you need a rundown of the top JS libraries for front-end dev and design or some free code for you to use to add some pizzazz to a client’s header menu. They write clean and simple posts, and if your subscription list is as full as ours, you likely appreciate that a lot. These days, user experience (UX) is on everyone’s mind. You want your UI to be easy and enjoyable for your users, while still doing a ton of complex tasks. 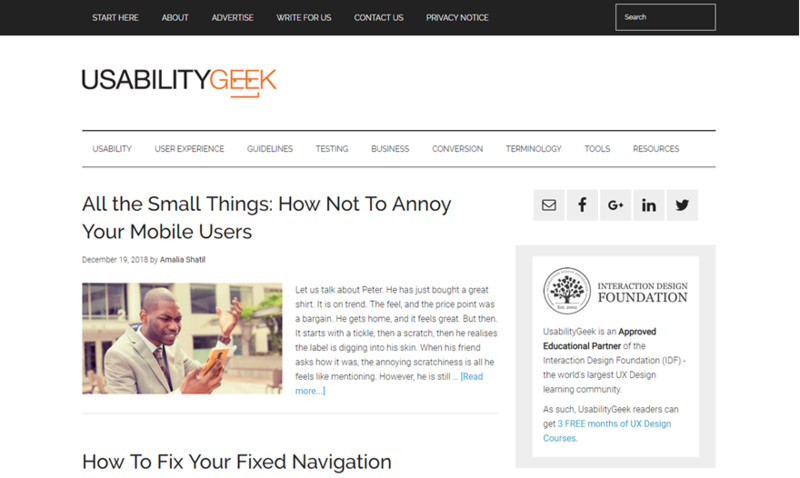 That’s where Usability Geek comes in. We aren’t all user experts. We can’t all be at the forefront of UX research. But someone is. Someone can. That someone is Usability Geek, and if you want to know why you want some of your interfaces to be slightly difficult and full of friction, you should give them a read. Their topics will make the non-UX experts into…wait for it…UXperts. A List Apart absolutely sets itself apart from the crowd. 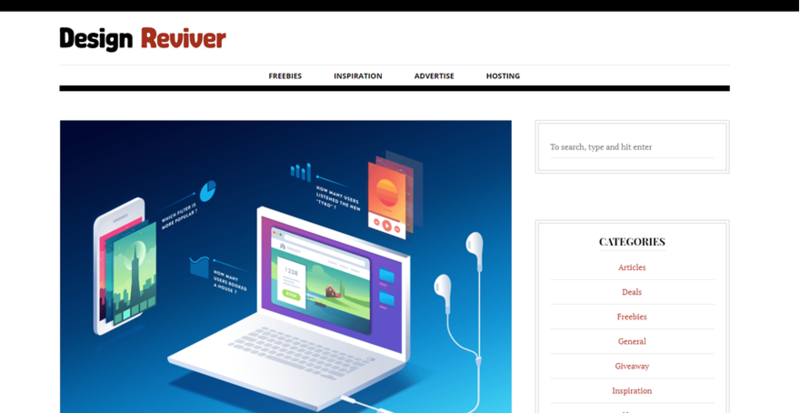 It’s smart and witty, and the content it provides goes a few steps beyond the typical freebie and resource roundups you find at most web design blogs. Even the design of the blog itself lends to that motif, as the serif fonts and literary style give the site a very unique look among the hard edges and flat layouts in this corner of the internet. Textures, icons, and fonts, oh my! You can find every kind of resource you could name on the Naldz Graphics blog. They specialize in getting professional, unique tools into designers’ hands. You might get an icon set one day, a series of Photoshop filters the next, and a tutorial on branding techniques after that. They found their place in the web design blog niche, and they’re rocking it. Not only does this blog post thoughtful, engaging content about the future of our industry and how we can all position ourselves to succeed in it, UX Magazine hosts job boards, conferences, meetups, and other community tools so that web designers don’t feel like they’re lonely islands off to themselves. They take UX seriously, if the name didn’t make that apparent, because they don’t simply talk about how to create the best user experience on a website, but in every setting where people interact. It’s really fascinating what they put together. Design isn’t all about resources and tutorials. A lot of experience and learning and understanding goes into it, too. You need to know how to get feedback from your users and research their habits. Boagworld can help you with that. They have a podcast, too, and the topics all range from digital design to marketing to content creation and your overall digital strategy. It’s thoughtful and well-done, so throw it in your reader for sure. Talking about design is important. Because there is a lot of elements that go into it, and there are a lot of facets you have to consider. Boxes and Arrows works to approach web design from all angles, including graphic design, business design, and information architecture. They don’t do a lot of freebies but instead give you insight into how to manage stakeholders, for instance, or how to approach your designs if you want to make an emotional impact. The soft-skills that come with years of design experience. 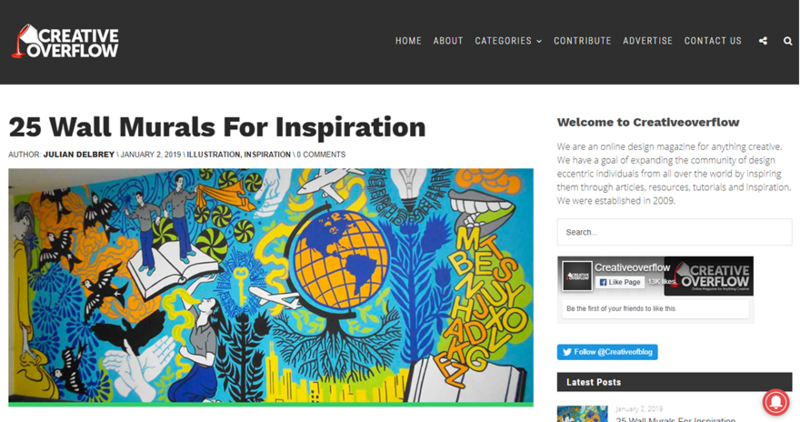 Similar to Envato’s Tuts+, the Creative Market blog is a resource provided by a marketplace. You will find trend roundups, free assets like mockups and fonts and templates, and tutorials about how you can better serve your clients’ needs while making sure the users get everything they want out of your work as well. Not every asset or post will be directly related to the kinds of projects you work on, but there are enough being published regularly that you will want to add this one to your reader. Case studies, inspiration, clean design, tight copy, and useful tools? It seems like Design Your Way has it all going for it. Their topics run the gamut like many web design blogs, from UX to UI to straight-up WordPress education, but their takes on the subjects are what matter. They will tell you what works well, and then they will provide you with examples of how it works, why it works, and what you need to make sure to avoid. 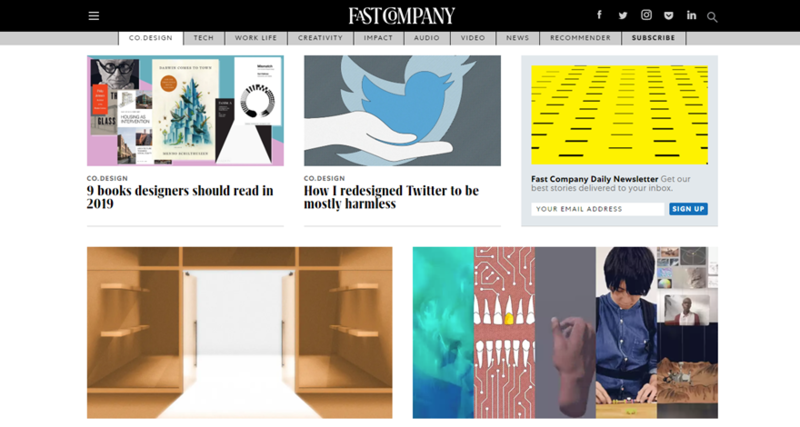 FastCompany tends to be on top of everything that’s going on in the world, and design is no different. They don’t do so many tutorials as think-pieces and examples for designers. You will get lists of resources, yes, but you will also get articles that show how the composition of your background can affect photography when it’s pulled into a website. Their Co.Design blog falls somewhere between something like A Line Apart and The Next Web. While not fully focused on web design, Design You Trust is great because of that. You can get inspired by seeing how designers in your field, but not your niche, handle their projects. 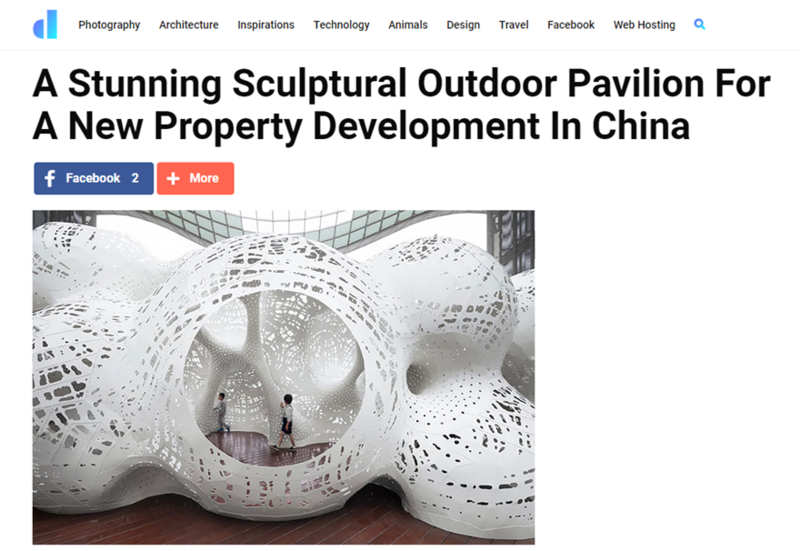 From architecture to sculpture to artistic flubs that you can learn from, Design You Can Trust will put something interesting in your feed every time the site updates. Webflow really hits on a lot of pain points designers have: how to ease client worry, why they need X kind of site not Y that they think they do, and how important design is to the overall function of the internet. They do trend analyses and roundups that you will legitimately want to read through. And you know they know what they’re doing because the web design blog itself is gorgeous. If it weren’t…well, we’d have some suspicions. The David Walsh Blog is an interesting thing. It technically is more of a web development blog than a web design blog, but you can’t really do one without the other. Not fully. So the most interesting posts he does are really the demos, where you get live snippets of code and how to use them in your designs. Again, technically more on the development side than design, Scotch.io bills itself as a top-shelf site, and it lives up to it. You want to pour yourself a couple of fingers of their CSS tutorials, and when you finish that, you’ll want to savor some of their React roundups on the rocks. Whatever your flavor of JS, it’s here. You’ve probably heard of InVision. It’s a great piece of software. The company behind it also puts out a stupendous blog called Inside Design, too. With everything from icon packs and iOS UI kits, all the way down to mockups, tutorial videos, inspiration roundups, and best-practices showcases, if you are not already subscribed to it, copy and paste that URL so that you are now. No, Design Bombs is not about fails that you can laugh at (though that’s what we thought it was when we first discovered it). Design Bombs is about dropping the bomb on your projects and blowing up your clients’ preconceived notions about what is possible. You get how-tos, freebies, and a ton of WordPress-centric content that earns this web design blog a spot on our list. Software reviews, inspiration, roundups, and best-practices put the Web Design Ledger on the list. They have sections on typography and iconography, how to work in development environments, and lists of tools that you want to make sure you’re familiar with. Okay, so Reddit isn’t quite a blog. It’s not quite a forum, either, though. It’s just…Reddit. Regardless, we thought that it deserved a spot on this list because you can find tons of truly insightful posts on there, and the community is rapidly growing. As of this writing, r/web_design has 350k subscribers, and when you finish with this post, it’ll hopefully have one more. 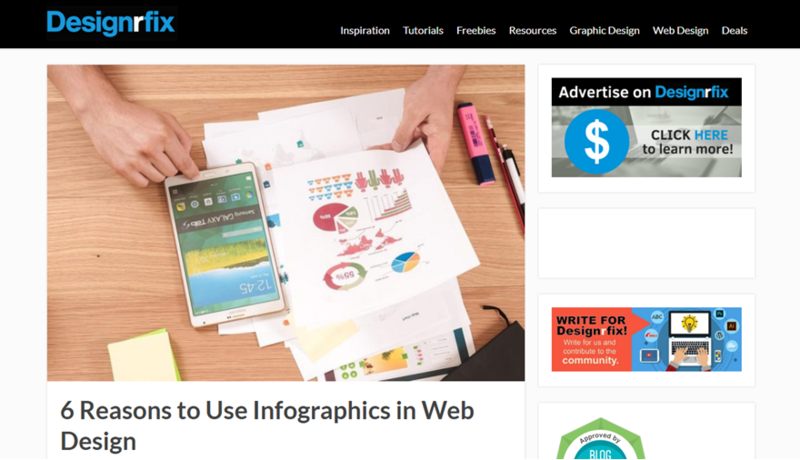 Regardless of how you feel about their software and service, it’s hard to deny that Wix has a solid web design blog. They better, at least. You will get trends and tips and tricks and various freebies, no matter if you’re a Wix user or not. Their folks have good eyes, so their design blog is worth looking at. 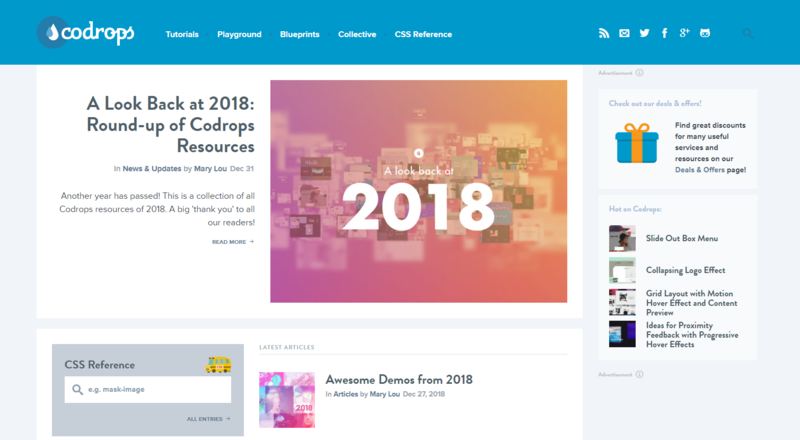 Despite this being a fairly long list, there are still so many web design blogs out there that it was hard to narrow down just to these 55. If we had tried to go to a Top 5 or 10, we might have gone a little mad. So we’re confident that no matter what kind of design you do — graphic, digital, UX, UI, or anything else — your feeds will get a lot more active and that your work gets even better than it already is. 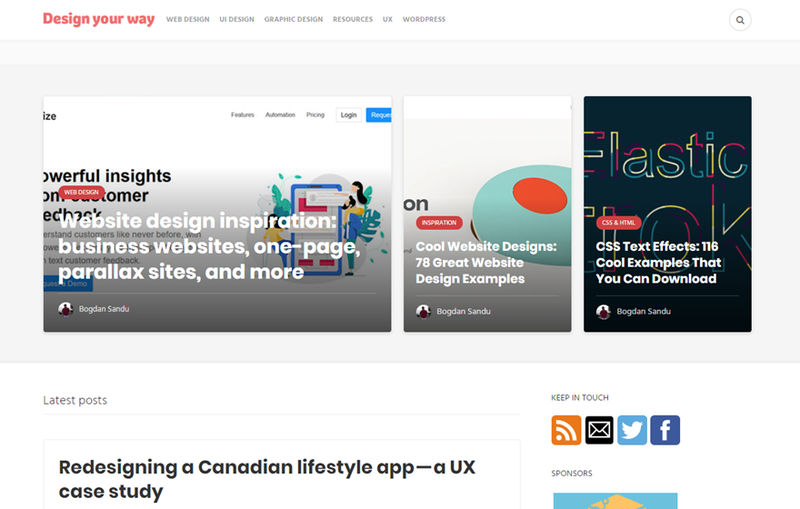 What is your favorite web design blog? Great compilation of sites there BJ. Awaaards is one of my favourite just because the level of impressive sites that can be viewed. Also CSS tricks is something I ever found when searching for a solution. Never realised what an extensive and swanky site they ran. 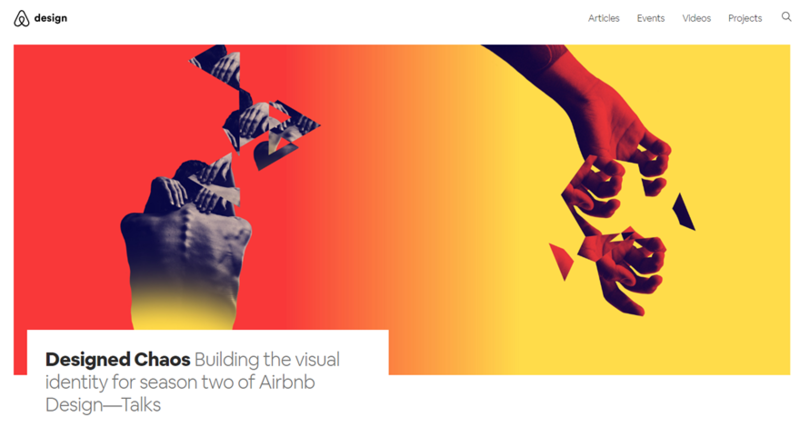 And AirBnB Design? I though they only did short term lets? Thing is though getting time to read all the articles out there. I feel my carbon based HD thrashing at the thought of it all. Interesting list…and after being inspired, let’s create nice looking blog templates, archive pages, headers, navigation menus, footers, global style control and a whole lot of other things…but wait…just another year longer. I assume the author is a writer not a designer as no-one running a web business has time to read and follow 55 blogs, or even slog through his list. I think this blog is getting a bit out of hand. Can the editor please reduce the quantity and focus more on the quality of the posts? It seems to be starting a sideline in self-help rather than design, which to me is out of place here. Amazing collections! But My website design also not bad:)! Always love your articles. A list of 95 blogs that’s a huge list and of course, all are good for the designers with different personalities. 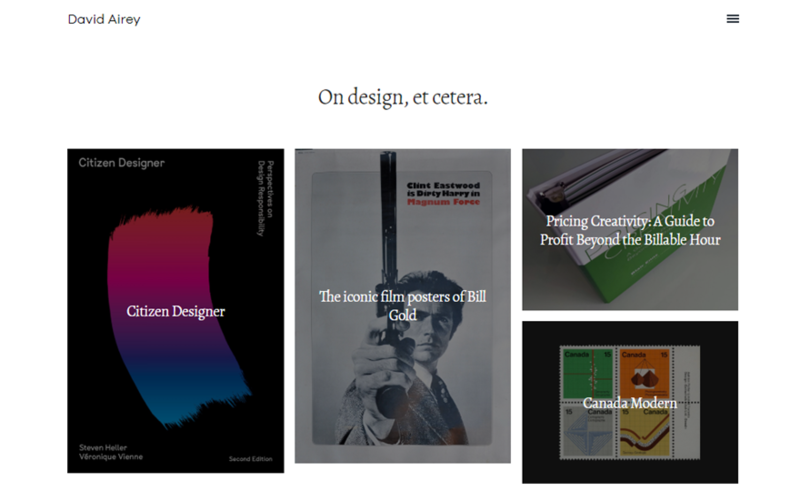 If I talk about mine; here are my 5 favorite design blogs; I read everyday. Do I need to refer more blogs to hone my skills and improve knowledge? Please suggest me. 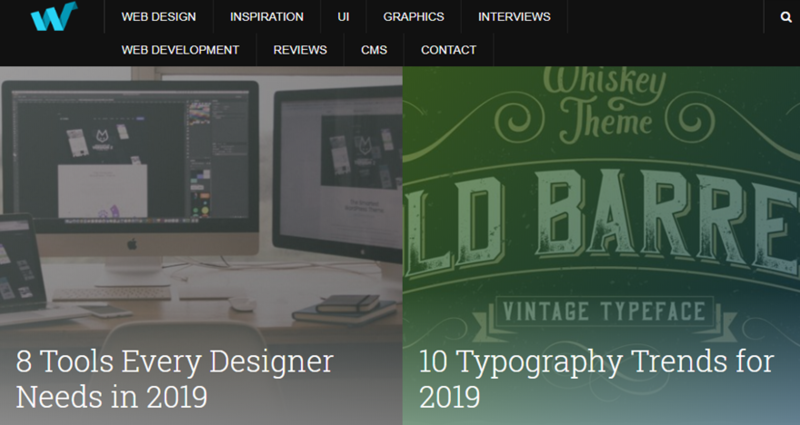 Thanks, These are the best web design blogs in 2019. Thanks for all the resources! I can imagine it still wasn’t easy narrowing down the list to 55. We’re a new web design agency, so this is going to be an awesome resource (and source of inspo) for this year, thanks again for doing the dirty work. I must say, you have put up a great list of Blogs. I do follow some of them on a regular Basis. 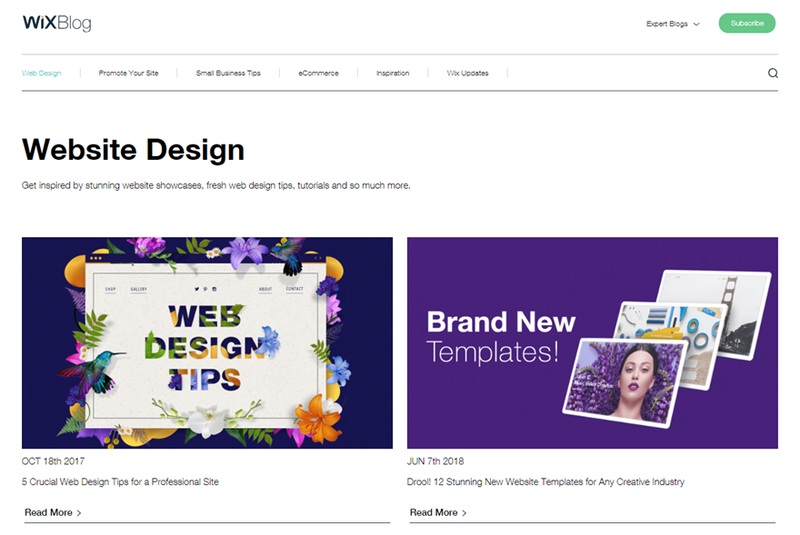 These blogs have the web designing ideas of 2019. 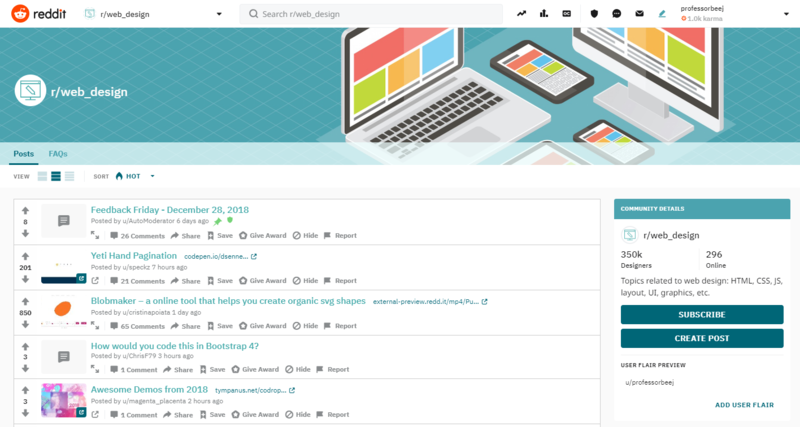 As a web designer or developer, it is important to know where to look for all the best news, tips, tools, freebies, tutorials and other resources. Thanks for sharing all the useful site links provided here. Our company also works for the same logo design. graphic design, website design, and media marketing. Our team, of the website and graphic designers is very passionate about designing attractive, user-friendly, advanced featured websites on affordable prices. Thank you For sharing these tips. We will be using some of these in our upcoming projects as well. Looking forward to more of your content. Amazing information out there. This will help a lot of naive web designers in terms of knowledge and learnings. I have been reading Hongkiat for many years now and it has taught me a lot. I will also try some of the other blogs you mentioned. Thanks for sharing the meaningful blog with us. Keep sharing the knowledgeable blog post. If you are looking for a web design company in Vaughan. Contact us.